Hi friends, 2018 has almost arrived and I’m sure many of you are thinking of change their look to be more fashionable, but you don’t know where to start from, and right for that today I want to talk you of man hair styles more in vogue of 2018. Many important fashion sites, like GLAMOUR, suggest us, the most trendy looks of the moment are those that you see below. 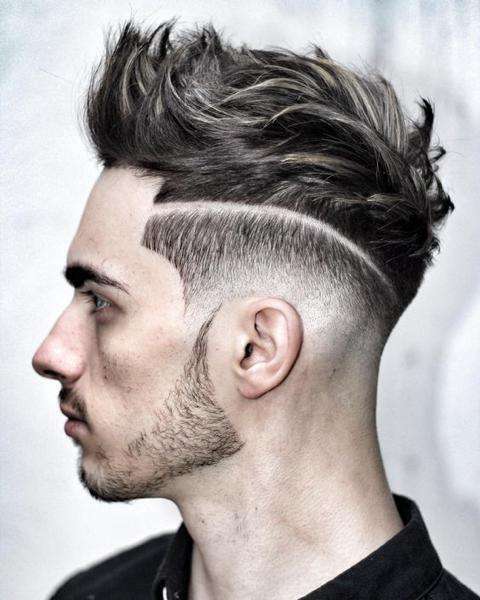 This is perhaps the most fashionable cut, shaved to the sides with shades, long and brought behind above, so that It gives a definite contrast and It does look much more accurete and fashionable with a media length beard that gives at face a more mature look, especially suitable for those who have a strong and rebellious character. 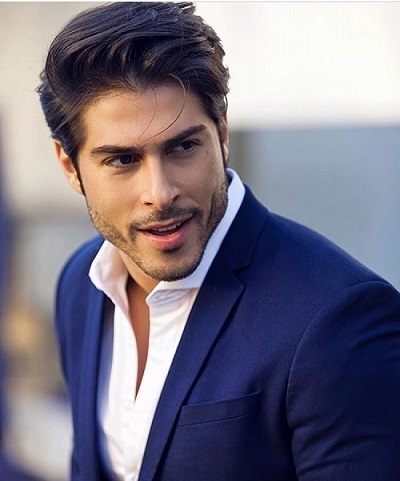 This is a very cool look amongst hair styles, shaved hair on the sides with a marked line that separates them from those long, above we have a much longer hair with rebellious and casual tufts to give a jaunty and rebellious appearance, unshaved beard of four days, but tidy that completes the look. Very recommended for youngs. 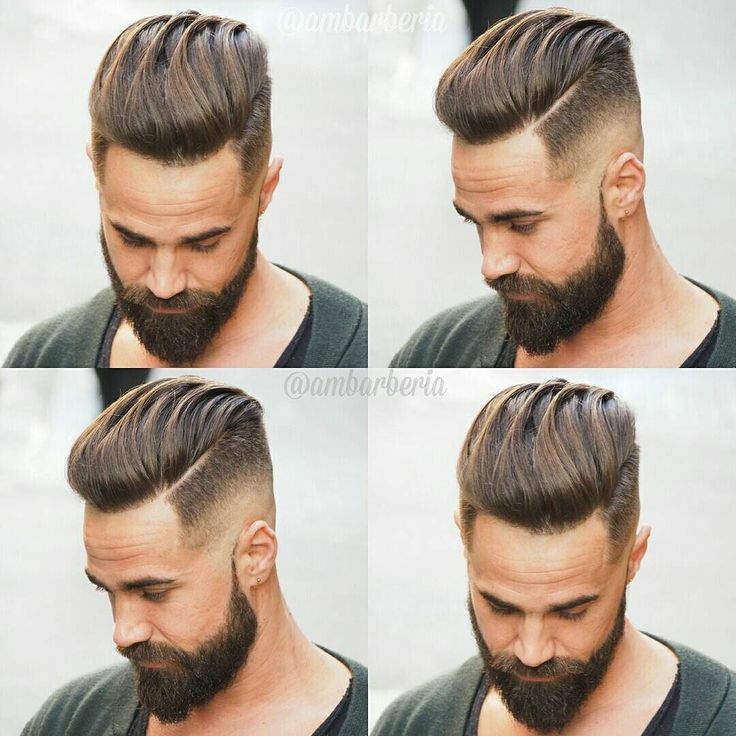 This is a very recommended hair style for men, it gives a refined and classy appearance, we have short hair to the sides, longer above and brought on the left, voluminous opposite with defined tufts that give a sophisticated appearance. Recommended for men who prefer elegant clothing. 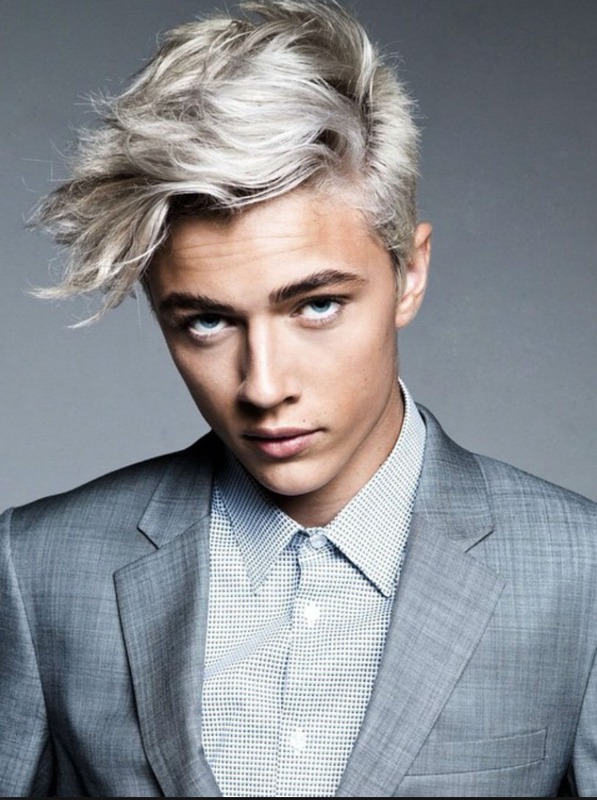 To finish we close with the famous international model Lucky Smith’s hairstyle suitable for eccentric and young people, we have platinum-colored hair, short on the sides, long, wave over, with a tuft that goes down on one side. Now that we’ve seen what are the most trendy look of the moment, you just have to choose the one that suits you best and to go to the barber. Let me know which you’ve chosen amongst hair styles mentioned above, by commenting at the bottom, and subscribe to newsletter that you’ll find here next to or at the bottom to see my next articles.